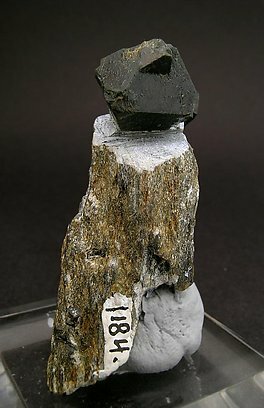 Two black, octahedral crystals on matrix. 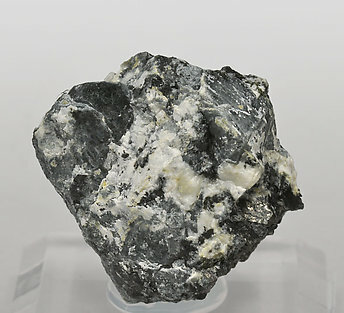 It is not common that one finds examples of this species with good crystal form, especially with such sharp profiles. It comes with a label from Deyrolle (Paris), where he bought it in 1933, which has Sr. Folch’s handwritten notes on it. 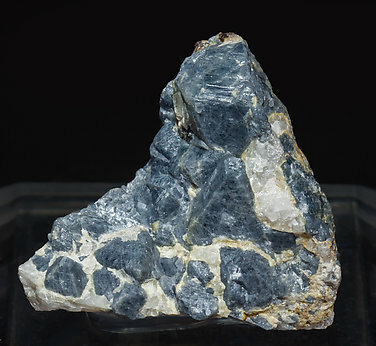 Octahedral Gahnite crystals with very well defined faces and edges, with a uniform blue color and on matrix with Sphalerite. Such samples are very difficult to obtain in this quality and only from time to time appears a classic like this, only from old collections. 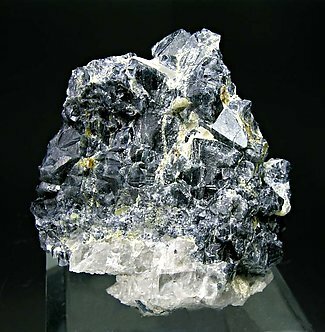 Well defined blue-grayish octahedral crystals on a Quartz matrix. From a recent rediscovery of this Spanish classic, with nice bluish color and a more individualized crystal than usual. 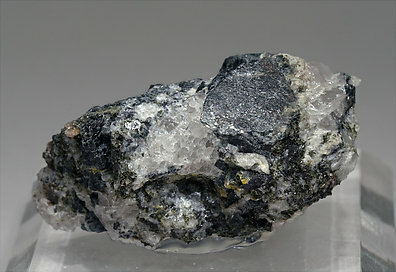 Flattened octahedral crystals, one of them clearly dominant with a grayish blue color and on a matrix of massive Quartz. A Spanish “oldie”.